The picture above is bottom part of outdoor chess table. 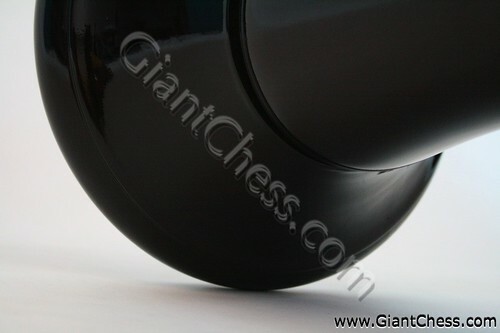 We show the detail of bottom part of chess table so you can imagine how strong the table for outdoor use. The table is durable and suit for outdoor chess game. You can put it at your garden for years. it has made from best quality of Teak wood that also has dried. So the table is very durable in any seasons and weathers. You can left it at outdoor without worried about its damaged. The table above is polished in black and looks glossy. If you want to have chess table in other color, we can make it. We also provide brown or natural wood color of chess table, marble chess table and many more. Those are carved and polish by our professional craftsman from Java island. Those chess table is high quality handmade product.